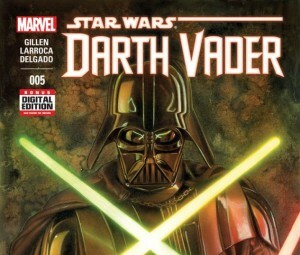 Another cool Vader issue (and sweet cover) with our central Sith Lord on the prowl for the Emperor’s other lackies, and Vader’s possible replacements. Their search leads them to a pod of flying space beasts (don’t ask) with a secret lair hidden within, just weird enough to remain cool without me scratching my head in confusion. 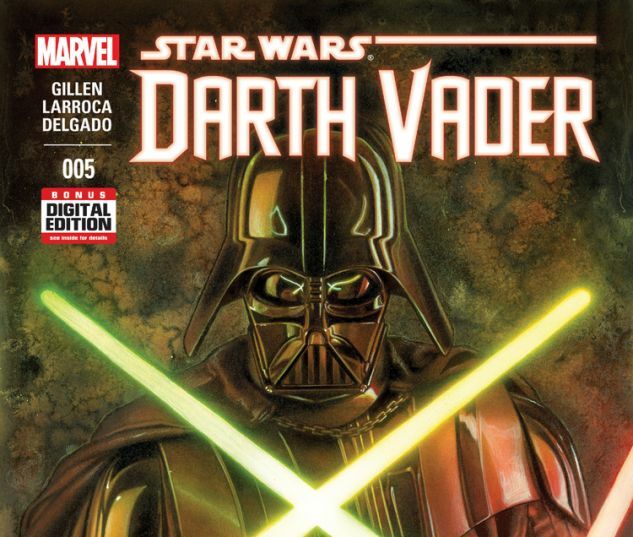 Inside, Vader and his hilariously black droids encounter a small unit of cyborgs who have shunned the Force for robotic enhancements, declaring themselves to be the next step forward. THIS is a cool concept and I’m intrigued to see whether Vader is able to hold his own, to reaffirm the power of the Force. Classic cliffhanger in this issue, I’ll be back next month for sure.